The red-crowned crane is one of the rarest crane species, and its population is decreasing due to loss of habitat, poisoning, and infections. Using a viral metagenomics approach, we analyzed the virome of feces from wild and captive red-crowned cranes, which were pooled separately. Vertebrate viruses belonging to the families Picornaviridae, Parvoviridae, Circoviridae, and Caliciviridae were detected. Among the members of the family Picornaviridae, we found three that appear to represent new genera. 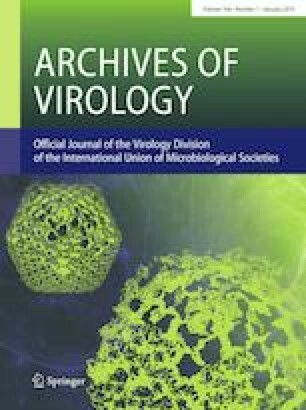 Six nearly complete genomes from members of the family Parvoviridae were also obtained, including four new members of the proposed genus “Chapparvovirus”, and two members of the genus Aveparvovirus. Six small circular DNA genomes were also characterized. One nearly complete genome showing a low level of sequence identity to caliciviruses was also characterized. Numerous viruses believed to infect insects, plants, and crustaceans were also identified, which were probably derived from the diet of red-crowned cranes. This study increases our understanding of the enteric virome of red-crowned cranes and provides a baseline for comparison to those of other birds or following disease outbreaks. Yan Wang and Shixing Yang contributed equally to this work. The online version of this article ( https://doi.org/10.1007/s00705-018-4037-x) contains supplementary material, which is available to authorized users. This work was partly supported by National Key Research and Development Programs of China No. 2017YFC1200201, National Natural Science Foundation of China No. 81741062, Jiangsu Provincial Key Research and Development Projects No. BE2017693, the Professional Research Foundation for Advanced Talents of Jiangsu University No. 12JDG085 and 13JDG087, the Postdoctoral Foundation of Jiangsu Province No. 1302057C and 1302058C, China Postdoctoral Foundation No. 2014M561597. This study did not include experiments with human participants or animals performed by any of the authors.